The Courtyard Dallas DFW Airport South/Irving is designed for the savvy traveler. Perfectly situated in Irving, Texas near DFW Airport South and a range of noteworthy destinations, our hotel welcomes you with spacious, contemporary guest lodging, helpful on-site amenities and intuitive service. No matter your reason for visiting the Lone Star State, you'll find all you need to relax in our well-appointed hotel rooms and suites. Every room boasts plush pillow top bedding, a flat-screen TV, a large workspace, luxury bath amenities and free high-speed Wi-Fi access. We also feature terrific dining at our signature Restaurant, The Bistro, as well as a fully stocked fitness center, a heated outdoor pool, an outdoor fire pit and a complimentary shuttle to DFW Airport South. Trust our hotel to help you make the most of your meeting or social event here in Irving, Texas; enjoy adaptable venue space and stellar planning and catering services. 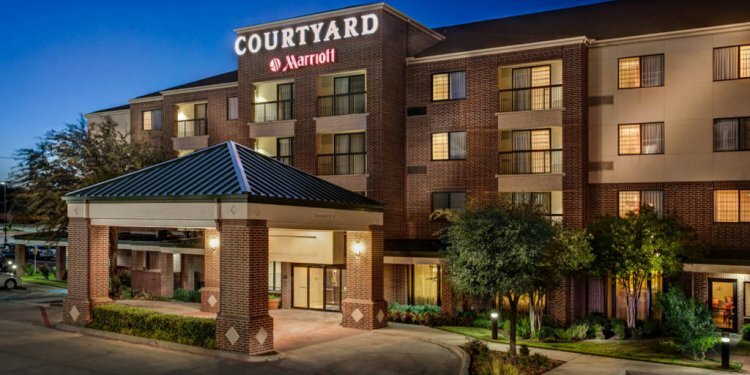 Plan an exceptional stay at the Courtyard Dallas DFW Airport South/Irving.